Belgaum also called as belgavi is located in the Northern part of Karnataka, India. Earlier Belgaum was also known as Venugram which means a Bamboo village. It is located at the border of two states Maharashtra and Goa. Later in the year 2014 Belgaum was officially changed to Belgavi. Due to its location near the Western Ghats, Belgavi is one of the important tourist’s destinations of Karnataka. The government of Karnataka had a proposal to make Belgaum as second capital of Karnataka after Bangalore. Hence a Survarna Vidhana Soudha was built and inaugurated on October 11th 2012. The official language is Kannada. Belgaum is one of the oldest districts of Karnataka that was founded in 12th century AD by Ratta Dynasty. Belgaum was ruled by many dynasties like Yadava dynasty, Ratta dynasty, Vijaynagara Empire, Mughals, Delhi Sultanate and Bahamani sultanate. Since Belgaum is located on the foot hills of the Sahyadri mountain range of Western Ghats it experiences a pleasant climate throughout the year. It has a tropical savanna climate with minimum temperature during winters drop down to 7 degrees and Maximum temperature in summers would be around 40oc. Belgaum is famous for Kunda sweet made from milk. Belgaum has many tourists’ places like Belgaum fort, Gokak waterfalls, Kapileshwara temple, Kittur fort, Navilthirtha and Bhimgad wildlife sanctuary. Let me take you through the journey of Belgaum fort. Belgaum fort: It was built by Bichi Raja in the year 1204 AD. He was an ally of Ratta dynasty. The fort is located on the foot hills of Sahyadri mountain range of Western Ghats. 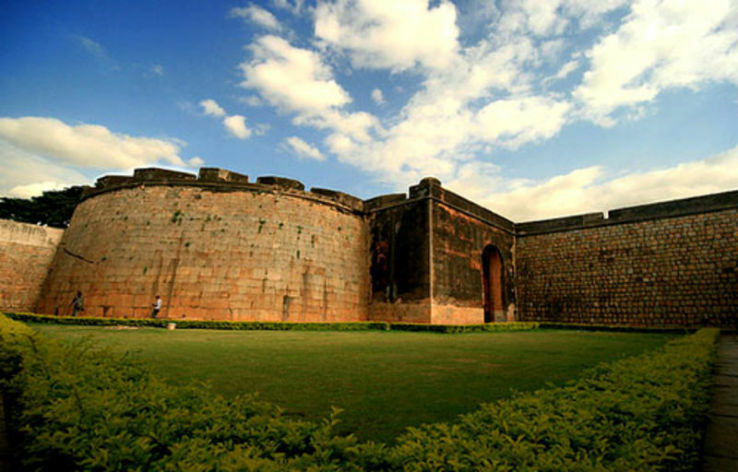 The fort is a gigantic structure which is at the centre of the Belgaum district. At the entrance of the fort one can see the idols of Lord Ganesha and Goddess Durga. The fort is surrounded by a moat to protect from entering of enemies. Belgaum fort has a very interesting history. The Belgaum fort belonged to Ratta dynasty. It was built by Bichi raja in 1204AD. Belgaum was the capital of Ratta dynasty from 1210 AD-1250 AD. Before Ratta dynasty established their control on Belgaum some of the other dynasties that ruled Belgaum are Shatavahans, Chalukyas and Kadambas from Goa. The fort was in complete control of Ratta dynasty until they were defeated by Yadava Dynasty of Devagiri. They took control of the fort. The Yadavas did not provide any stable administration and were defeated at the hands of Khalijis. By 1474, the Bahamani sultanate who was ruling Bidar took control on Belgaum fort. Mahamood Gawan became the leader. As the Bahmani expanded its territory it was difficult to manage hence they divided the territory into five small states and Belgaum was part of Adilshahi sultanate of Bijapur. With the help of Asad Khan Lari, Adilshahi renovated and rectified the structure of the Belgaum fort which makes a significant part of the present structure. Asad Khan Lari was a Persian from Lar. Asad Khan Lari was conferred with Jagir of Belgaum in the year 1511AD as he assisted Adilshahs in the battle for the fort. 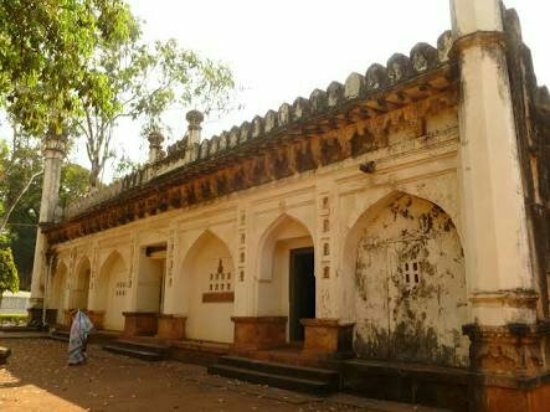 By 1519AD Asad Khan completed the construction of Masjid safa in Belgaum fort. Later on the fort went in the hands of different dynasties like the Mughals, Hyder Ali of Mysore and the Peshwa and the British. 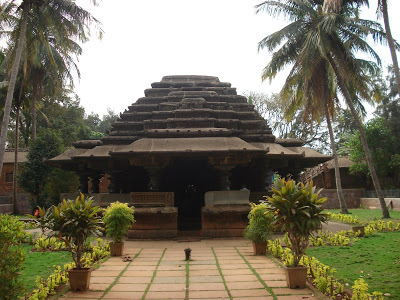 Kamal Basadi temple: This is a Jain temple located in Belgaum fort. The fort has two Jain temples within it. One is Kamal Basadi and the other one is Chikki Basadi which is almost in ruins now. Kamal basadi was built in the year 1204 AD by Bichiraja. Both the Jain temples were beautifully built in Chalukyan architecture style. The temple is called as Kamal Basadi because of the very beautiful lotus carving from the ceiling in the Mukhamantapa. Kamal means lotus, the 72 petals depicts the past, present and the future 24 thirthankaras. The idol of Bhagwan Neminath is a very old idol found in forest. The idol is in the temple and is very artistic. The other idols that are found in the temple are Bhagwan Sumatinath in the standing posture, Bhagwan Adinath in Padamasan, Bhagwan Parsvanth under the shade of 7hooded Nagraj (serpent). The other jain temple is in ruins now. The fort also has two Hindu temples of Lord Ganesha and Goddess Durga at the entrance of the fort. The outer part of the temples has painted images of mythological figures. Mosques: The fort consists of two mosques known as Safa Masjid and Jamia Masjid. Safa masjid was completed by Asa Khan in the year 1518 AD. The masjid faces towards east and has three entrance. Safa Masjid is the most visited mosque as compared to the other. The pillars in the mosque have beautiful inscriptions in Persian and Nagari style. It is believed that two pillars are from Hindu temples which have inscriptions in Kannada of Nagari scripts. Jamia Masjis was constructed by Sher Khan around 1585-86. Some of the other buildings inside the fort are armour and arms Bandikhana which was a prison, Jakira which was a store Darukahana( gum powder), Jamadarkahana, a public treasury and a granary house. Belgaum is a very big city and easily accessible through rail and road from major cities of India. The distance between Bangalore and Belgaum is around 500Km, from Goa it is 104 km, from Pune it is 340Km and from Mumbai it is 480 km. Belgaum has a airport at Sambra. It is 10 km from the city. One can reach nearest cities through air and then travel either by road or by rail. Belgaum is not just famous for fort but also has many other touristic places and of course enjoy the authentic North Karnataka food.